As in all other industries, employees in the cannabis industry deserve to be safe in their workplace environments. Although it has been legal to use cannabis for recreational and medical purposes, Occupational Safety and Health Administration (OSHA) safety regulations in this industry are only now receiving attention. Injured workers in the cannabis industry have the same rights to workers’ compensation benefits as those with other injuries have. With proper regulation, injured workers in the cannabis industry will now have the same rights to workers’ compensation benefits as employees in other industries have. They can file benefits claims to cover medical expenses they have incurred, and even the costs related to traveling to and from the doctor or hospital might be compensated. Also, benefits will include wage replacement for workers whose injuries caused temporary disability. OSHA created an online tool called “$afety Pays” program can help employers assess the impact of occupational injuries and illnesses on their profitability. This program uses a company’s profit margin, the average costs of an injury or illness, and an indirect cost multiplier to project the sales a company would need to cover those costs. It is intended as a tool to raise awareness of how occupational injuries and illnesses can impact a company’s profitability, not to provide a detailed analysis of a particular company’s occupational injury and illness costs (click here to access “$afety Pays”). Allow users to pick an injury type from a drop-down list or to enter their workers’ compensation costs. Prompt users for information to do the analysis, including their profit margin and number of injuries. Generate a report of the costs and the sales needed to cover those costs. Are You Exempt From OSHA? Reporting and recording rules for on-the-job injuries in the cannabis industry will apply to all retail, testing and cultivation facilities with more than 10+ employees (read 29 CFR Part 1904.1). Due to the current lack of regulation, there is no clear picture of the safety and health of workers in the cannabis industry. Fundamentally, if your cannabis company had more than 10+ employees at any time during the last calendar year, you are under OSHA regulation and MUST keep injury and illness records unless your establishment is classified as a partially exempt industry under 29 CFR Part 1904.2. The OSH Act requires employers to prepare a log and post an annual summary (OSHA No. 300/300-A) of job-related injuries and illnesses. Employers are also required to report to OSHA within 24 hours any inpatient hospitalization, amputation, or eye loss that occurs within 24 hours of the incident or accident. Employers with 250+ or more employees that are subject to OSHA’s recordkeeping regulation must electronically submit to OSHA information from Form 300A. Information from the Form 300, Form 300A and the Form 301 must be electronically submitted by March 2. Establishments with 20 – 249 employees in certain high-risk industries must begin submitting information from Form 300A must be submitted by March 2. Employers with fewer than 20 employees at all times during the year do not have to submit information electronically to OSHA. The National Council on Compensation Insurance manages the nation’s largest database of workers compensation insurance information. NCCI analyzes industry trends, prepares workers compensation insurance rate recommendations, determines the cost of proposed legislation, and provides a variety of services and tools to maintain a healthy workers compensation system (click here for reference). 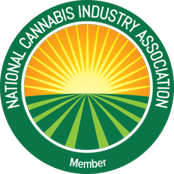 This entry was posted in Cannabis Industry, Human Resources and tagged cannabis training, dispensary training, osha reporting, osha training, safety pays program.